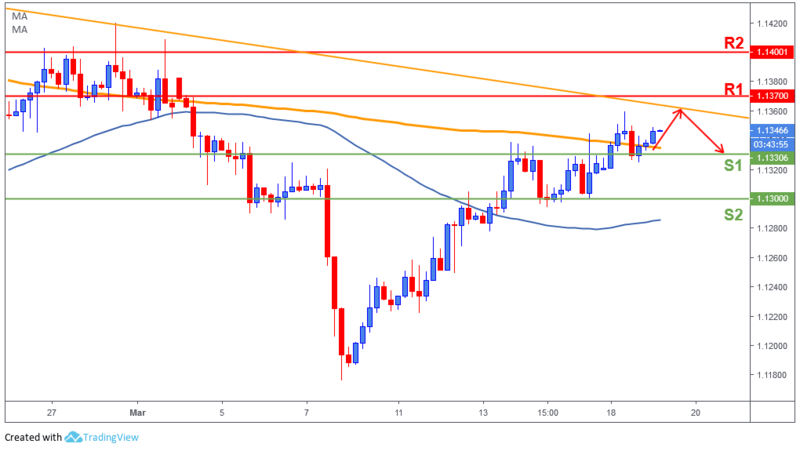 The Euro advanced to a fresh 2-week high after the Trade Balance printed much better than the forecast, 1.5B vs -8.0B, and the continuous US Dollar weakness across the board gave the single currency a boost. Today, Germany will release the ZEW survey on Economic Sentiment. The sentiment is seen deteriorating to -18.7 vs. -16.6 in February. On the other hand, the US will release January Factory Orders which could impact the Dollar a bit, but traders are mainly anticipating tomorrow’s Federal Reserve meeting for any major direction.